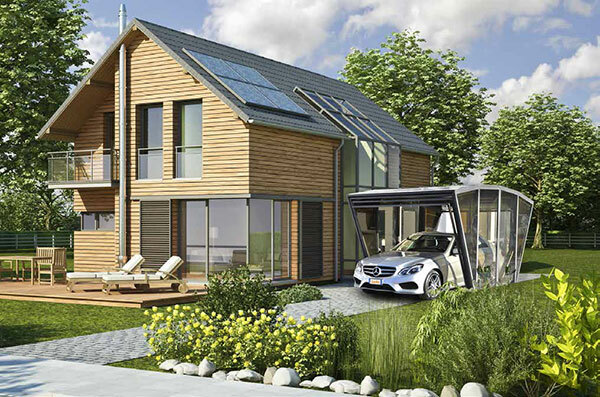 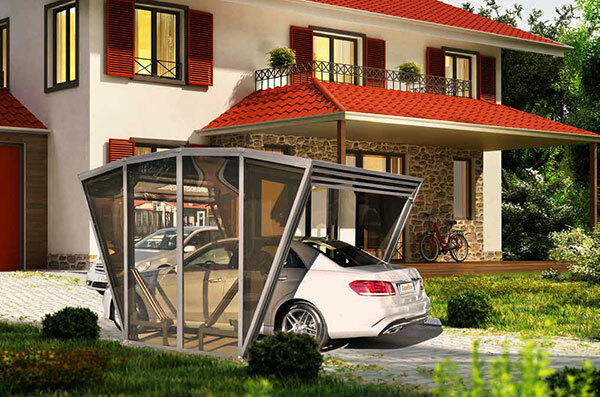 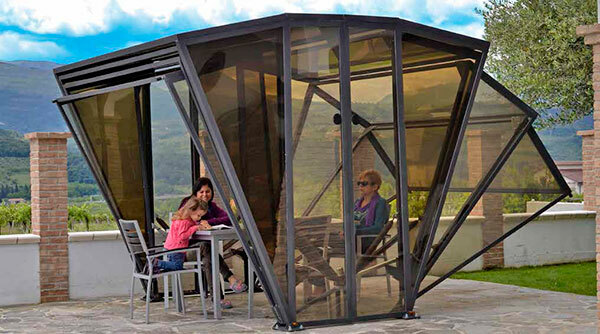 GazeBox is a revolutionary foldable cover system that functions as a garage, carport, or a gazebo. 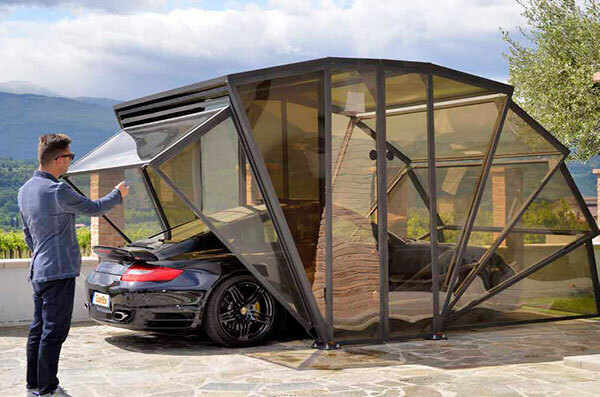 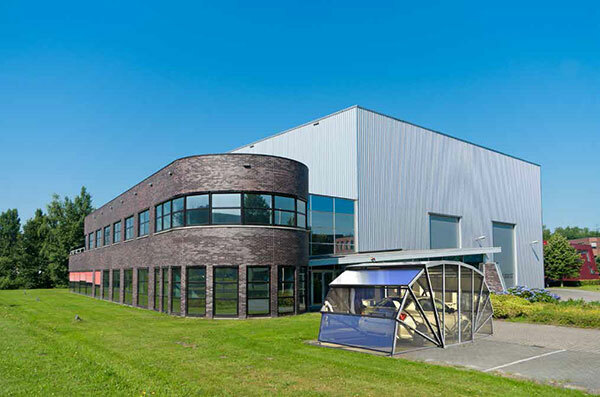 The special anti UV polycarbonate panels made from acrylic mirror sheet does not retain heat and protects your car or motorcycle from the sun, hail, rain, wind, ice, pets and birds. 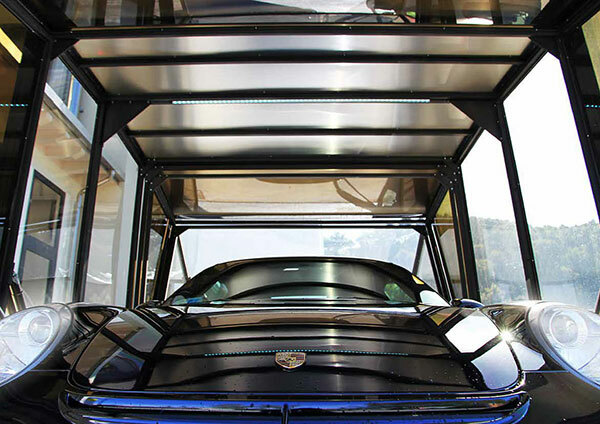 The system is easy to install and is customizable from a range of patterned surfaces, solar panels, LED lights, and theft protection.